Do you toss and turn at night? Find it hard to get to sleep or stay asleep? Yes, this can be another symptom of Polycystic Ovary Syndrome! 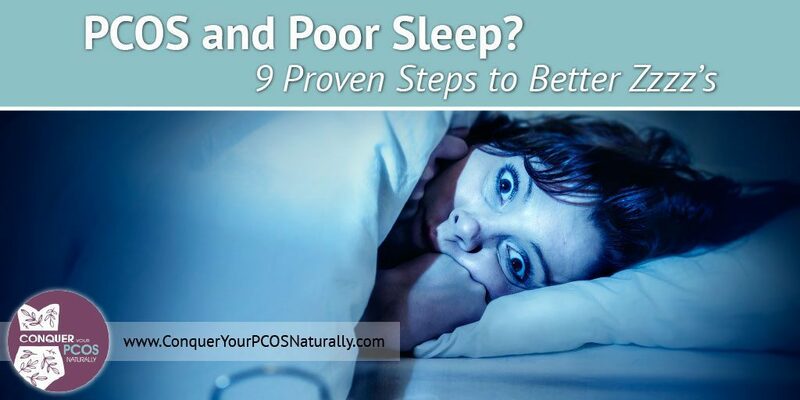 PCOS and poor sleep are quite common bed fellows. 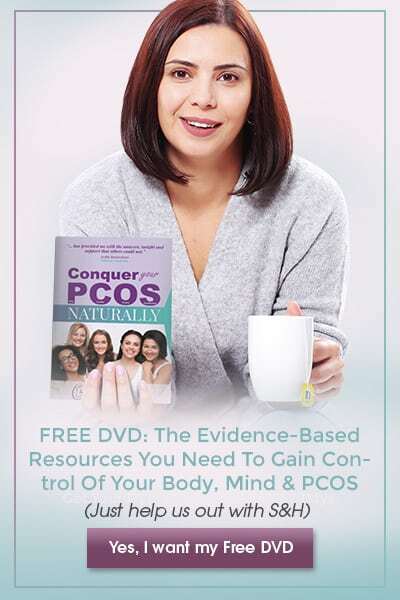 If you are tired of being tired, this video reveals proven sleep strategies and a major reason women with PCOS may need to have their sleep habits checked by a sleep professional. 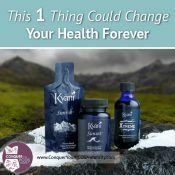 This problem increases your risk of ill health and death, so please listen. It’s the first issue I discuss in this video. And as always, the transcription is below for those who prefer to read than watch. 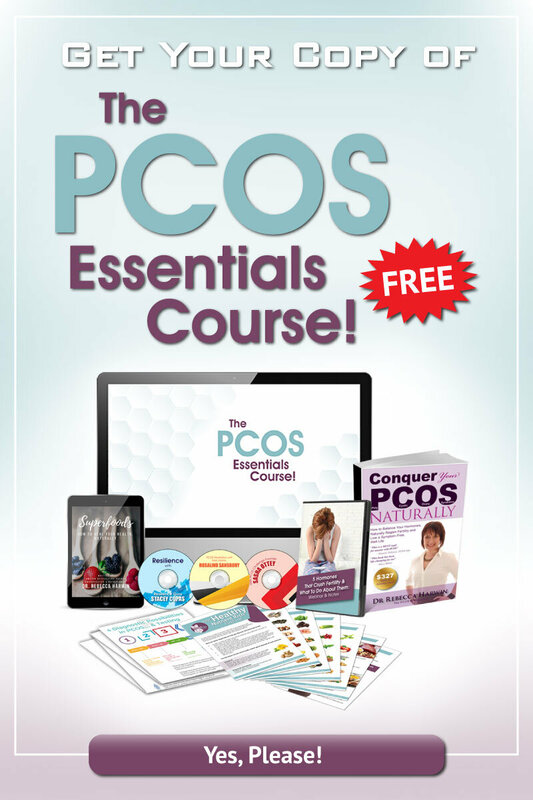 “Hi, this is Dr. Rebecca Harwin for ConquerYourPCOSNaturally.com and The PCOS Clinic.com. Today I want to talk about sleep. Sleep is quite a big issue for many women with PCOS, and we know that 1 night of poor sleep actually reduces insulin sensitivity. 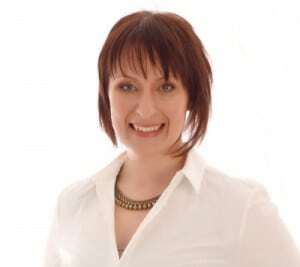 Given most women with PCOS are insulin resistant, a lengthy period without sleep is a real issue. 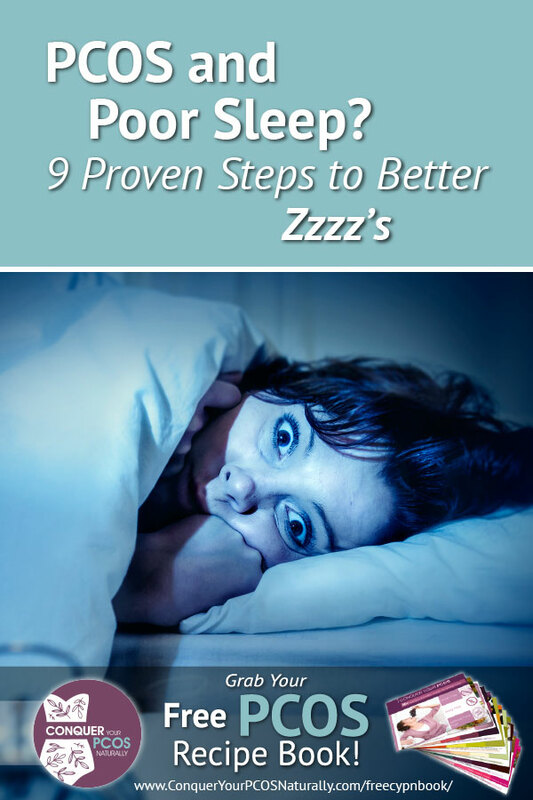 I wanted to talk about some strategies you can put in place to help you sleep better. First things first, we’ll start with the most problematic concern, sleep apnea. Women with PCOS are more likely to suffer from sleep apnea; so, if you wake up tired, if you have a sore throat, if you stop breathing during the night, or your partner lets you know that you do, if you find yourself falling asleep at the end of the day on the couch, and if you’re having troubles with insulin resistant problems like trouble losing weight, I certainly recommend that you go off and see your doctor. Have a discussion and see whether they think it’s appropriate that you have tests regarding this potential problem. The next thing is to make sure that you have a dark, comfortable, quiet room. These things make a big difference. We know that light turns on our wake up hormones, and darkness turns on our go to sleep hormones; so, a dark room is really important. You may need to look at your curtains, make sure they block out the light. Or even think about wearing an eye mask. The next thing is journaling. Often we tend to ruminate and think about things when we should be going to sleep, so having a journal by your bed where you can make notes about the things that are troubling you can be very helpful. Then they’re done, they’re dusted, they’re put aside, you can come back to them the next day and worry about them at an appropriate time. I also want you to focus on not having bright lights before bed; so televisions, iPhones, iPads, computers, all of these type of light, again, wake us up. 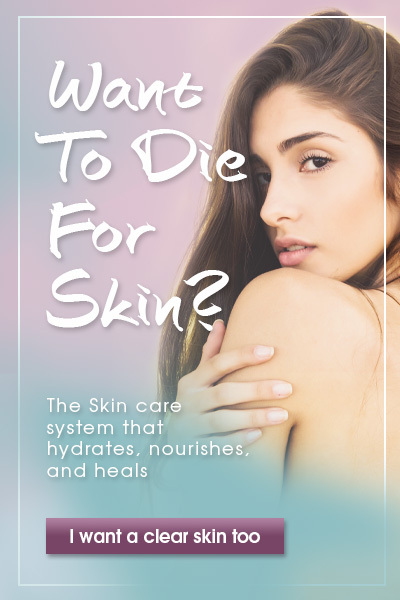 So, put these things aside for preferably an hour and a half, 2 hours, before you go to bed to let your body relax. You might want to read a book in some lower light, not too low that you strain your eyes, but not so bright that they wake you up. There’s also the obvious. Things like coffee and caffeinated beverages are stimulants, so obviously not so great towards the end of the day. I know that some people who say, “Oh, look, I can have coffee. It’s fine, it doesn’t keep me awake at all.” But I would recommend that you stay away from that. Waking up at the same time is also really important. So, yes, going to bed at the same time is great, and I recommend you do, but waking up at the same time means that your body gets into a rhythm, and if you’re waking up at 7 in the morning, then by the time it gets to your night time, you’re more likely to be ready for bed as well. I also wanted to talk about Chiropractic care. One of the things I found in practice really often is, one of the first things people started to comment about or notice, once under regular care, is that they slept really well, they hadn’t slept like that for years. It makes a massive difference. 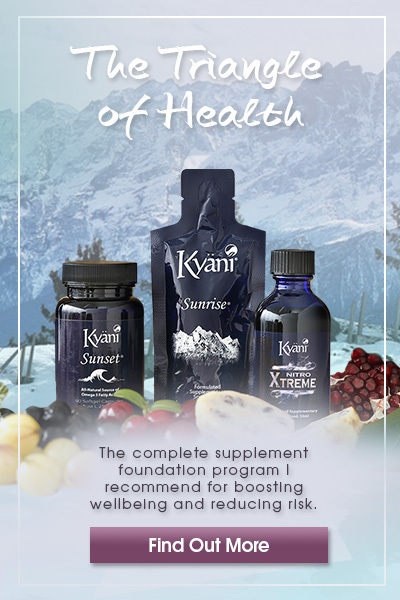 Other than improving your whole health, it will most likely help you sleep better. Another thing along a similar vein is really caring for your spine while you sleep. A comfortable bed, a comfortable pillow, a comfortable temperature, these things make a massive difference, and usually, when it comes to pillows and beds, you do get what you pay for. Basically, buy the best that you can afford. Your bed should not be hard, it should not be soft, it should be comfortable and supportive. When going in to choose a mattress, for example, make sure that you lay on it in the store for quite a while. I’m not talking about a couple of minutes, but even half an hour. Lay on both sides. Steer clear from laying on your stomach, because this is incredibly bad for you. The salespeople in the store are quite used to people doing that, and that’s quite fine. Lastly, melatonin is the hormone that increases just before we go to sleep, so supplementing with this, when needed, can be also really helpful. PCOS and poor sleep don’t need to go hand in hand. Not only is better sleep important for your general health, but it can also help you to conquer this common syndrome! 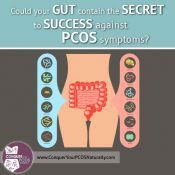 Could Your Gut Contain The Secret To Success Against PCOS Symptoms? Next: Why Dance With PCOS?